Lateral thinking riddles are puzzles that combat against any preconceived notions or ideas you may have already drilled into your psyche. These tricky questions are also called thinking riddles because they force readers to think "outside of the box" to get the correct answer. The solutions to these puzzle types are often inexact or quite the opposite of what a person may expect from a logical standpoint. Essentially, to answer these questions correctly you have to be willing to move away from logical thinking. 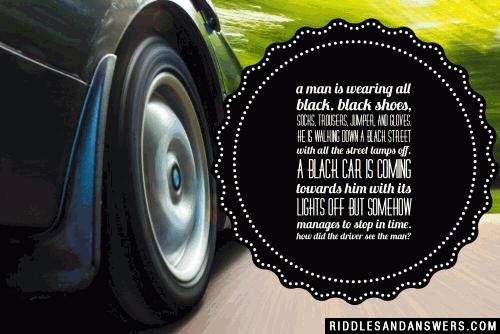 It is with riddles like these that we help to develop and sharpen our mental abilities. 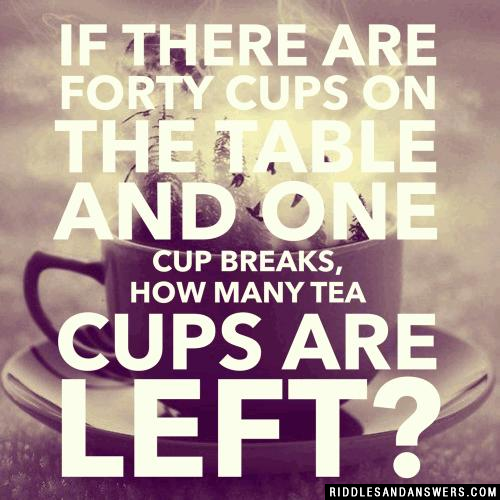 Are you ready to do some lateral thinking? Remember that each riddle listed in this collection should be read carefully and every clue should be examined just as carefully. This is truly the only determine the right solutions to each problem. A man comes home from work and says "honey I'm home". The microwave is on, defrosting a chicken dinner. 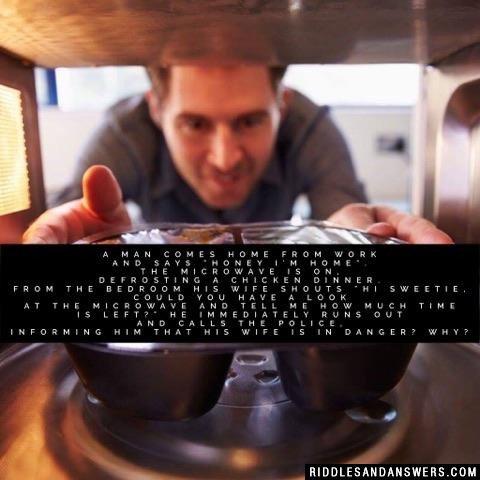 From the bedroom his wife shouts "Hi sweetie, could you have a look at the microwave and tell me how much time is left?" He immediately runs out and calls the police, informing him that his wife is in danger? Why? The Man was Blind so he suspects that his wife is in some danger and thus calls the police. You rode on January 1st 1996 to Seattle where you rode back on January 1st 1996 but while there stayed for 2 days how is that possible? Your Horse's Name is January 1st 1996! Push the cork into the bottle and shake the coin out! You draw a line. 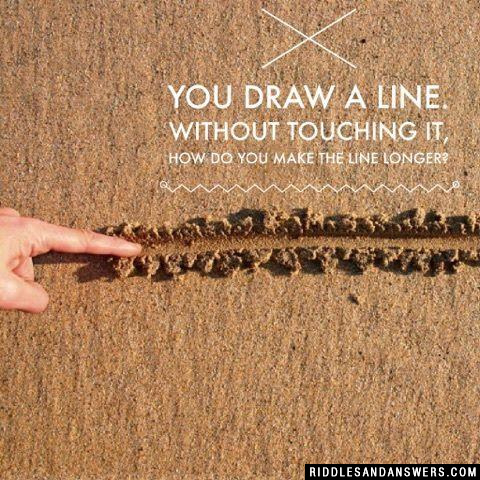 Without touching it, how do you make the line longer? You draw a shorter line next to it, and it becomes the longer line. A man is wearing all black. Black shoes, socks, trousers, jumper, and gloves. He is walking down a black street with all the street lamps off. A black car is coming towards him with its lights off but somehow manages to stop in time. How did the driver see the man? How is it possible to win a tennis match without winning a point? If your opponent is injured, they forfeit the game. You are in the center of on an island that is a kilometer long and half a kilometer wide. The vegetation is very dry from a long drought. Suddenly it catches fire at one end of the island, and a strong wind is blowing it towards you, burning the whole width of the island. There's no beach, only steep cliffs, and the sea is full of sharks. What can you do? If you put a small coin into a an empty wine bottle and replace the cork, how would you get the coin out of the bottle without taking out the cork or breaking the bottle? Push the cork into the bottle, and shake out the coin. 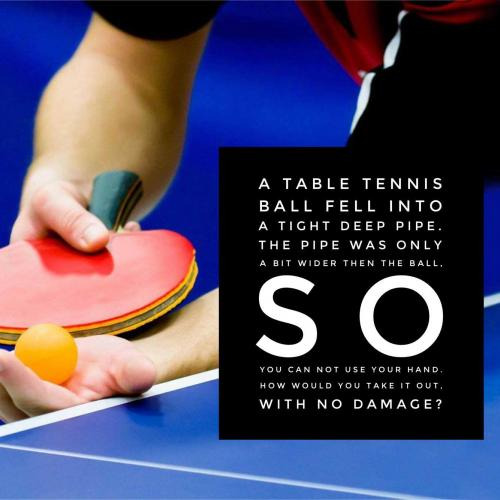 A table tennis ball fell into a tight deep pipe. The pipe was only a bit wider then the ball, so you can not use your hand. How would you take it out, with no damage? Pour some water into the pipe so that the ball swims up on the surface. Three switches outside a windowless room are connected to three light bulbs inside the room. How can you determine which switch is connected to which bulb if you are only allowed to enter the room once? Switch on the first switch, leave it for a minute, and then switch it off again. Then switch on the second switch and enter the room. The second switch will be connected to the light that is on, the first switch will be connected to the light with the warm bulb, and the third switch will be connected to the light with the cold bulb. Can you come up with a cool, funny or clever Lateral Thinking Riddles of your own? Post it below (without the answer) to see if you can stump our users.